Grab is a proud partner of festival for three years in a row. The Southeast Asia’s leading on-demand transportation and mobile payments platform makes sure that Sinulog 2018 stayed as fun and colorful. 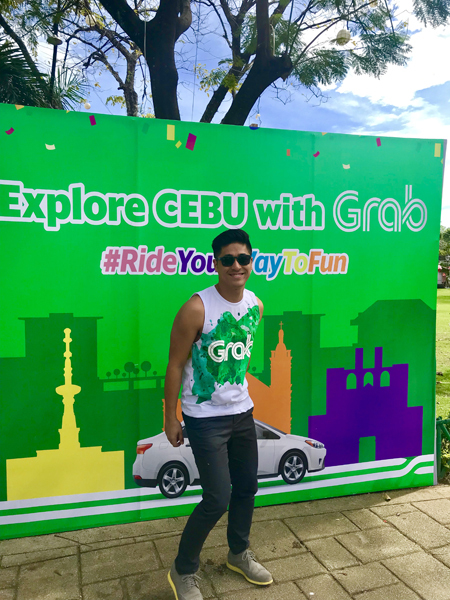 Raenald de Jesus, Grab Philippines’ Deputy Country Marketing Head said, Cebu is one of Grab’s biggest and most important markets in the country. More than just bringing Cebuanos from point A to B, they want passengers to get more value with every ride through fun and rewarding moments. Every ride taken with Grab earns them GrabRewards points, which passengers can use to redeem exciting offers and freebies. They wanted to let Cebuanos know that there’s so much more to a ride and that the fun can start even before getting to their destinations. Special promotions and activities are lined up during the festival and passengers enjoyed it. 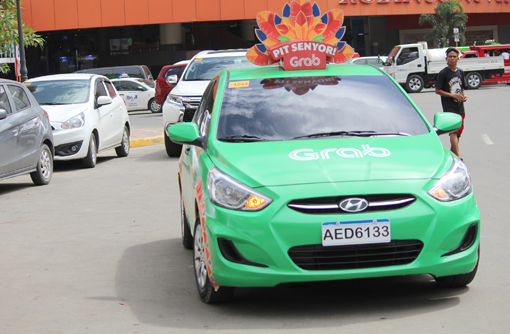 Exciting events and offers were abound during the Sinulog festival, as it rewarded existing Grab users. Indeed, Sinulog time is rewards time. 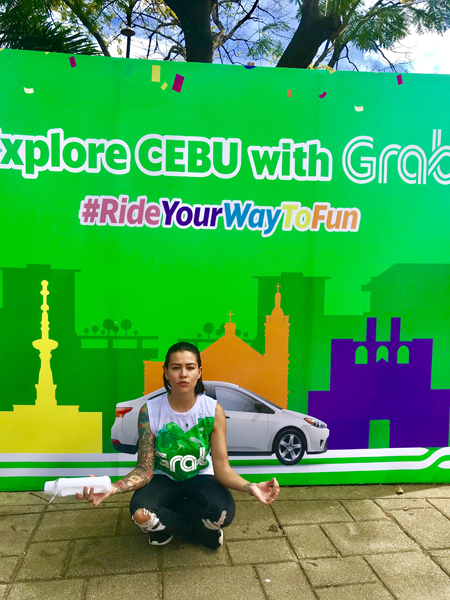 Grab provided a special promo code that entitled users to discount during the festival to and from destinations such as Fuente Osmena, Basilica del Santo Nino, Plaza Independencia, and Cebu City Sports Complex in Abellana. Grad Rewards such as festival essentials caps, shirts, water bottles and more were up for grabs at the special GrabRewards redemption booth situated at Plaza La Independencia. Using their available GrabRewards points, users were a few clicks away from claiming these offers. Spotted at the redemption booth claiming their rewards were fashion designer Kymberly Maitland-Smith, musician Divine Maitland-Smith, and actor Paul Jake Castillo. Grab users can enjoyed discounts as Grab also partnered up with select establishments that were nearby, accessible, and preferred, such as House of Lechon -- a well-loved signature Cebuano restaurant that serves some of the best roasted pig in town. Discounts are available on the GrabRewards catalogue. Grab are very thankful for the support of Cebuano users over the past years. This year’s Grab Sinulog celebration was their way of saying ‘Thank You’. 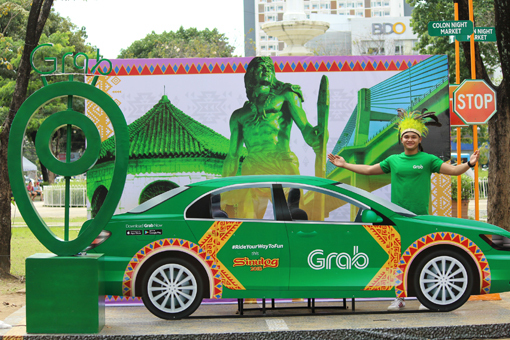 Grab are continuously looking for ways to make your Grab rides more rewarding and hoping to celebrate more fun years of Sinulog. Grab continues to be the preferred transportation option of Filipinos, and wants to be visible in major festivals in the Philippines to show that getting from point A to point B can truly be fun and rewarding. With Grab, the fun and the rewards are here to stay. Grab is available for download in iOS and Android platforms. 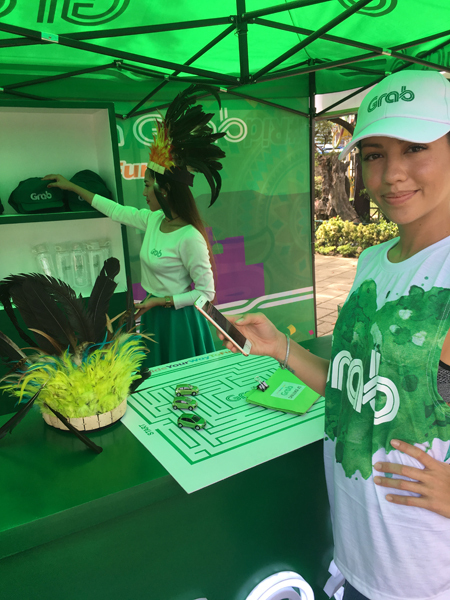 0 comments: on "Grab Joins Cebuanos to a Bigger and More Colorful Sinulog Festival"